A recognisable sight which you can see from almost anywhere in Edinburgh, Arthur's Seat is very much one of the main focal points of the city. 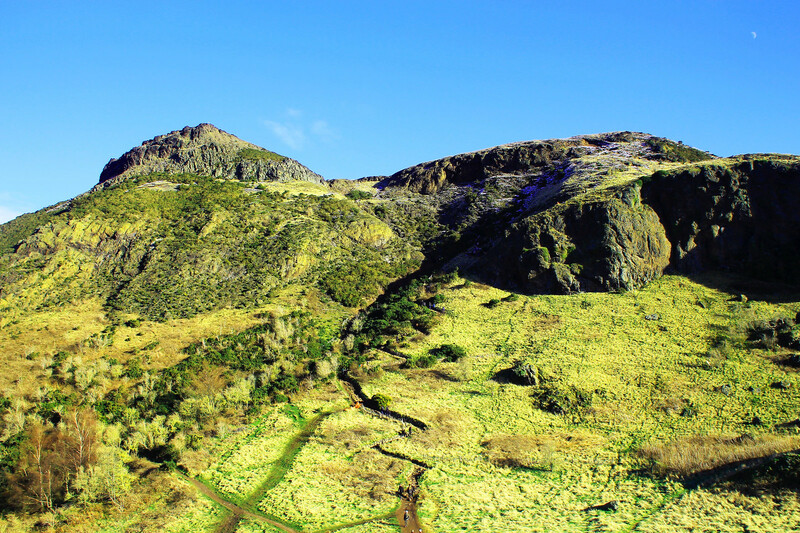 Arthur's Seat is an ancient volcano, which resides 251m above sea level. 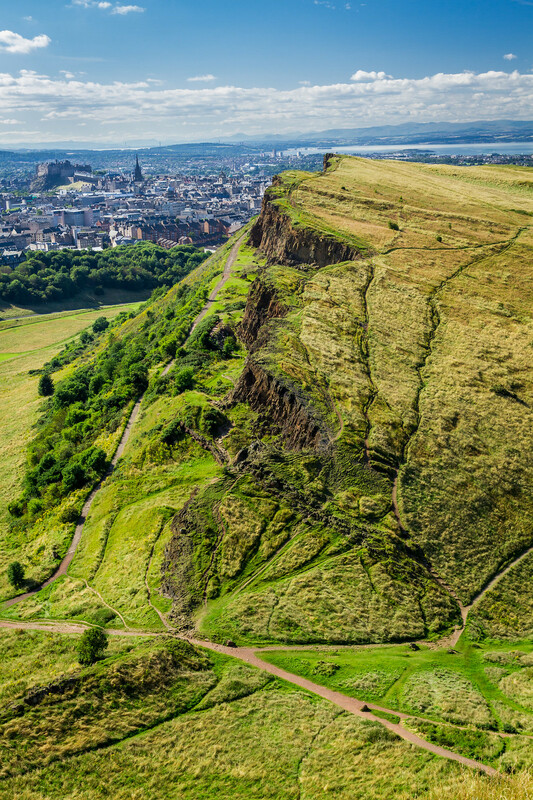 Some of the best views over the city can be seen from both Arthur's Seat and Salisbury Crags. If you're feeling brave enough to climb to the very top, you can get a great 360 degree view of the city and beyond. There are various routes you can take up to the top, which you'll instantly see worn down in the grass, with some parts with a paved stone path as it climbs closer to the top. On a clear sunny day you can see past the Forth Road bridge and across to Fife, down the East coast towards North Berwick where you might also be able to spot the Bass Rock. You will be able to park at the base of Holyrood park, where there is a car park just past the Scottish Parliament and near the Palace of Holyrood. From here you can follow the footpath towards St. Anthony's Chapel ruin, following the path to link with the east side of the hill at Dunsapie loch. It's at this point where several paths join and merge into one main route. Depending on your speed and if you stop along the way, you can expect to reach the top walking within two hours. Alternatively, the easiest and most direct route to the top is to park at Dunsapie loch and approach the summit from the east of Arthurs Seat. Here you can reach the top at a good pace within 20 minutes. An alternative to climbing up Arthurs Seat is to go up the slightly lesser height of Salisbury Crags which is adjacent. 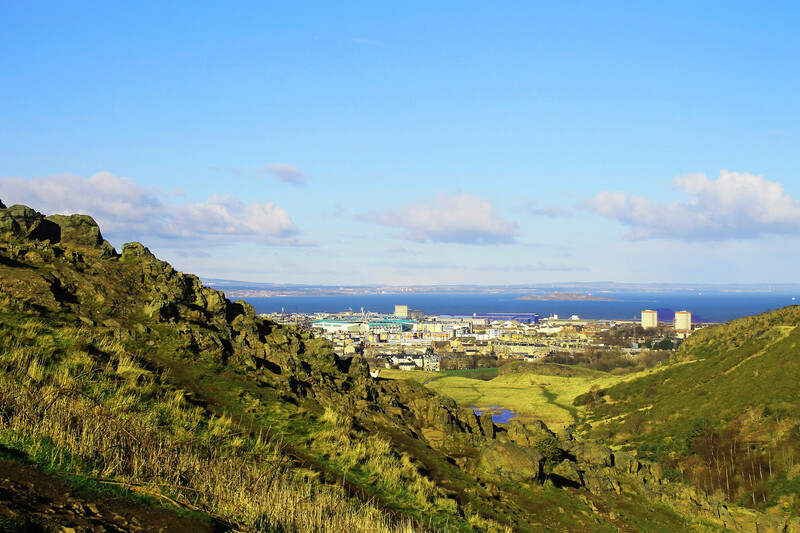 Arguably you can pretty much get a very similar view from the top of Salisbury Crags also and it does seem to be a more gentle incline, but if you're visiting Edinburgh, Arthurs Seat is the main attraction for visitors. Both are open all year round and are free to the public to enjoy. Though do be wary of any bad weather and ice, as these are obviously not ideal for walking conditions. 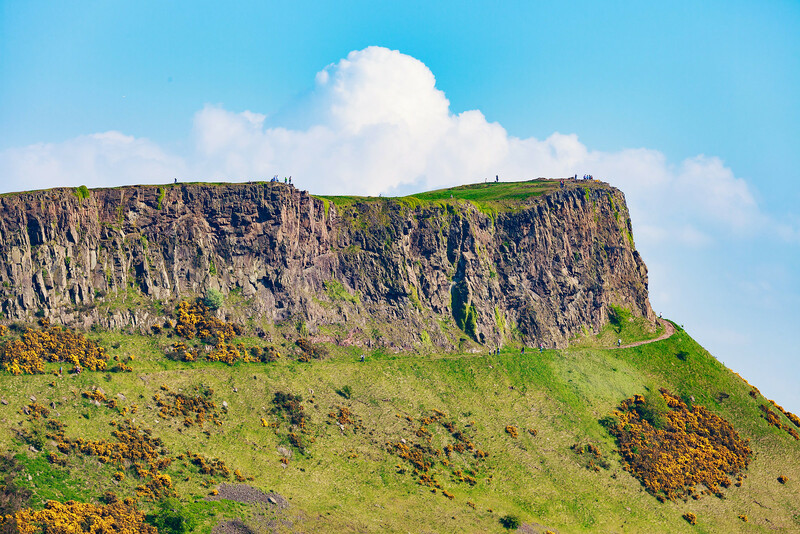 Have you climbed either Arthurs Seat or Salisbury Crags?